Vibrant with notes of melon, figs, toffee and lemon. Balance mix of dry fruits, citrus, vanilla, spice and cloves. The finish has a sweetness that works in harmony with dry tannins from the wood. 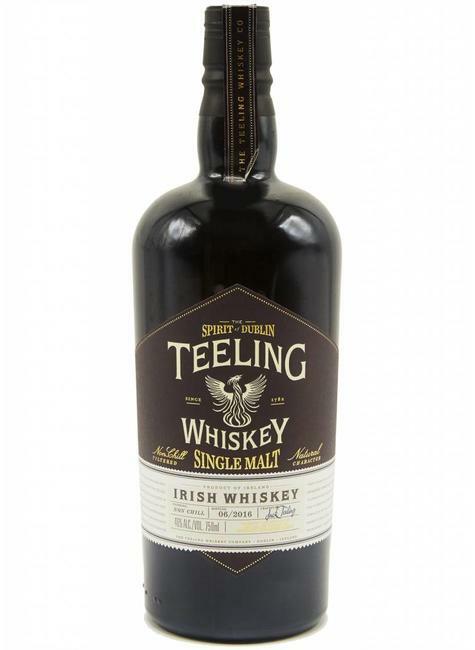 The Teeling Whiskey Distillery is the first new distillery in Dublin in over 125 years and has revived the craft of distilling back in the very heart of Dublin city centre. Our new distillery is right back where we started in 1782 and only a stone's throw away from where Walter Teeling's old distillery was. Located in an ancient market square called Newmarket, an area long associated with brewing and distilling, our new distillery is a three copper pot still operation reviving the traditional style of Dublin whiskey distillation. Our philosophy is that while we are respectful to the rich provenance and heritage of Irish whiskey, as a new generation of Irish whiskey makers we are confident to forge a new future for Dublin and Irish whiskey. Our distillery opened for visitors in 2015 allowing you to come see, smell and experience a real operational distillery and interact with the people making Teeling whiskey.